We hold years of experience and in-depth industry knowledge, we are involved in manufacturing and exporting a wide range of Vehicle and Personal Tracking and Security Systems. 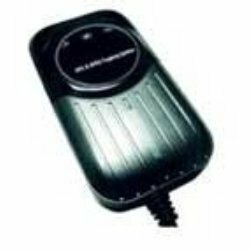 This powerful vehicle tracking device has excellent GPRS GSM/GPRS connectivity for making the security task hassle free. Our I2R-VTS-GPRS-V1.0 device can accurately coordinate and transfer the information them via GSM network. Our range is highly demanded where location acquirement of remote objects is needed and also to track the remote objects (trucks, ars, etc) quickly. Avail from us a powerful High End Vehicle Tracking and Security Solution at market leading price. Developed at par with the set industry norms, the device is provided with GPS and GSM/GPRS connectivity with interfaced to 8 digital sensors , 4 analog sensors , 4 digital output controls and 3 relay control for the ease of user. 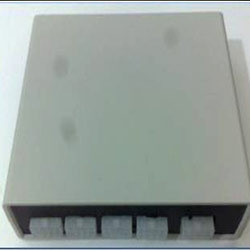 Our devices can be used for wireless panic pad, relay pack, vibration sensor, siren and internal battery. Besides, these are also used for g-sensor, fuel level sensor, temperature sensor, wireless panic pad and internal battery. These devices find extensive application where remote objects need to be tracked like trucks, cars, since these have control on the vehicle using SMS and GPRS. We are on of the prominent names in the market involved in offering unmatched quality range of Motor Bike Tracker Security devices. These devices are manufactured using advanced technology for the security of motorcycles and two wheelers. By performing as a powerful integrated tracking device, it ensures to provide monitoring, security and rider safety coverage. With the help of our range, one can easily track and monitor the unauthorized movement of the parked vehicles. Based on latest technology, the device sends signal when bike is started with ignition turned off. An important device for recovering even the stolen bike, the in-built GPS antenna in the device helps to avoid tampering. Looking for Vehicle and Personal Tracking and Security Systems ?